Let me guess. 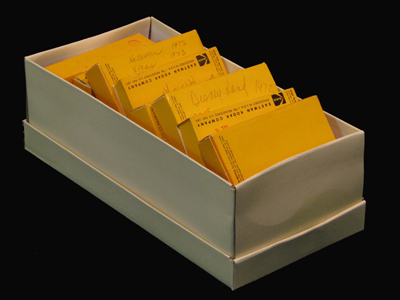 What you have is the classic "Shoebox Full of Slides". If you are like most folks you no longer own a slide projector or a screen. If the boxes are not marked up, you might not even know what event the slides are from unless you take a look. converts slides to computer images that you can look at, print or edit, email to family and friends, or otherwise organize easily. We provide a CD, or DVD, with copies of the images, versions with the edges trimmed to remove the slide frame border, and versions that are smaller (suitable for web site or email but not printing). For those of you who don't regularly use computers, we also provide a printed "proof" sheet with thumbnail versions of the images. Digital images of slides provided on CD-R disk.